Ecommerce is a trillion dollar industry. Everybody wants to grab a slice of the mammoth pie. One reason why this industry is growing at break-neck speed is that it is very easy to get an eCommerce business up and running. Yes, businesses do face a lot of competition, but the one big advantage of this industry is that it offers every business, irrespective of its size, a level playing field. Rapid advancements in technology have ensured even small businesses can go one up over their bigger counterparts. The purpose of this article is to shed light on certain elements of eCommerce that often get ignored in all the noise about technology, eCommerce platforms, innovation and demand. These elements are critical if you want your business to deliver on your expectations. You cannot operate an eCommerce business without a website. That’s a given. But, have you give thought to its design? Have you considered the hugely important role design plays in driving the profitability of your online store? Here’s a statistic that will make your hair stand on end if you’ve not come across it before – Your website has just 50 milliseconds to make an impression on its visitors. Not minutes, not seconds, but milliseconds. Now, take a close hard look at your website. Does it make a good first impression in that minuscule amount of time? If it doesn’t, there is something wrong with it. Each and every element used in your website design must be chosen with care. Take for example the use of color. Did you know the right colors can create the impression you are looking for? Brown, for instance, is reassuring and has an aura of confidence around it. Pink is a color that exudes friendship and compassion. The colors that are used on your site play a huge role in creating the right kind of impact. The Psychology of Color in E-Commerce is a good read on the subject. But this is just color. Visuals also play a huge role in determining the trajectory of your site. Images can make or break a site; they are absolutely crucial to drive sales. The right images bring the much needed emotive appeal to your site and also help people make informed decisions. Why are emotions important? Because, whether you like it or not, decisions are prompted by emotions and not cold logic as you might have thought. If you want visitors to take the decision to convert on your site, your website needs emotional appeal, which in large part will be driven by the right use of visuals. What you’ve got is a small glimpse into how you can make your website design eCommerce friendly, if you’ve not given a thought to it yet. The fact is – every business will have a website so how do you guarantee, it’s your site that runs away with the customers? The answer, amongst many other things, lies in the quality of your website design. If you want to compete in what is increasingly becoming a cut throat eCommerce world, you must start building customer relationships; getting personal helps. If you’re gung-ho about technology (you should be), why not leverage its potential for relationship building. Relationships ensure loyalty towards your business. The stronger the relationship, the more a customer’s inclination to buy only from you. Enduring relationships stand the test of the market, delivering returns even in an economic downturn. Let’s see how you can build such relationships. 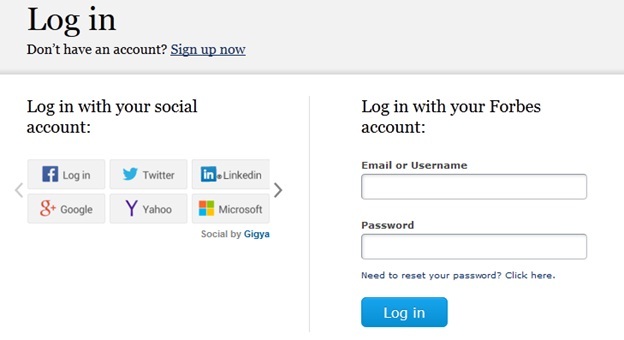 Take the example of a social login plugin. You must have seen this login on plenty of sites. One of the critical deliverables of social sign on is that it increases registration conversions by doing away with the need for customers to go through a lengthy sign-up process. It also offers another very important benefit – it gives you permission based access to first party user information, sitting on the user’s social profile; you get insights into a potential customer’s purchase behavior, interests and preferences. This is extremely useful personal information that allows you to offer personalized product offerings to users when they visit your site. This sets the stage for better sales and enhanced relationship building. Imagine the relationship building opportunities available to you, if you have access to critical consumer information? Something else you should do is leverage social media for relationship building. Use your Facebook, Twitter, LinkedIn, Google+ accounts to promote your business, but also use them to trigger customer interactions. Mashable has a very interesting infographic about the top brands on social media in 2013. These brands are using social media in a string of innovative ways to drive brand engagement. You should do the same. Share personal brand stories with your customers. Take customer feedback through a specific social network. Make it easy for potential customers to share their stories or reviews of your products. Create follower segmentations and target them with specific marketing messages. Don’t just connect with your customers to promote your products and services; take interactions to a personal level without discussing what you are selling. 8 Ways to Improve Customer Relationships with Social Media talks about various ways companies are using social media to take customer relationships to the next level. It’s a must read. If you don’t build relationships, you are leaving doors open for dwindling customer retention, higher bounce rate, and increased customer disinterest in your business. In a worst case scenario, this can lead to your business closing its shutters. If you’ve got an online business, and it’s all that you have, online reputation management assumes critical importance. Even if you’re running a successful business and are continuously improving your customer base, you still have to manage negative reviews. If you keep ignoring such reviews or take them lightly, they will just keep piling up all over the internet. The fact that you are not giving them credence means you might not be able to improve your products the way your customers want you to. This leads to a progressive negative impact, which can ultimately culminate in huge losses. The web is full of user generated review sites like Yelp, SiteJabber, Google Plus Local, Amazon Reviews etc. that allow people to post reviews. They’ve made posting reviews extremely user friendly. This is good news for you as it gives customers an opportunity to post good reviews about your product; but there are two sides to every coin and in this case the ‘bad side’ is ‘negative reviews’; customers can post these too and this is really bad news for your business. The problem is you can’t just make negative reviews disappear. Most customers don’t want to fight with a business, but they expect a business to hear their complaint and do something about it. So the idea is to respond to negative reviews in a very professional manner, and ask the customer support staff to get in touch with the unhappy customer personally and take the online interaction, offline. Go about managing negative reviews in a planned manner. Draw up a negative review management strategy at the very start of your business and stick to it. Even if it’s the first negative review your business has got, make sure you handle it. Making it a habit will help. Here they are. These are the elements whose importance, we believe, is often disregarded by online merchants. This can turn out to be a costly mistake. So go ahead and leverage the potential of the most progressive eCommerce technology available on the market (that is an absolute must), but make sure you don’t ignore these elements.